Have you ever been to a place where you actually felt like living in a fairy tale? Well, if you go to Johannesburg and you are looking for an incredible romantic place to stay, The Munro Hotel is definitely for you! I was literally astonished by this beautiful hidden gem, that looks like a Royal Palace located in the heart of Houghton neighborhood! No wonder this is also a well known wedding venue in town! 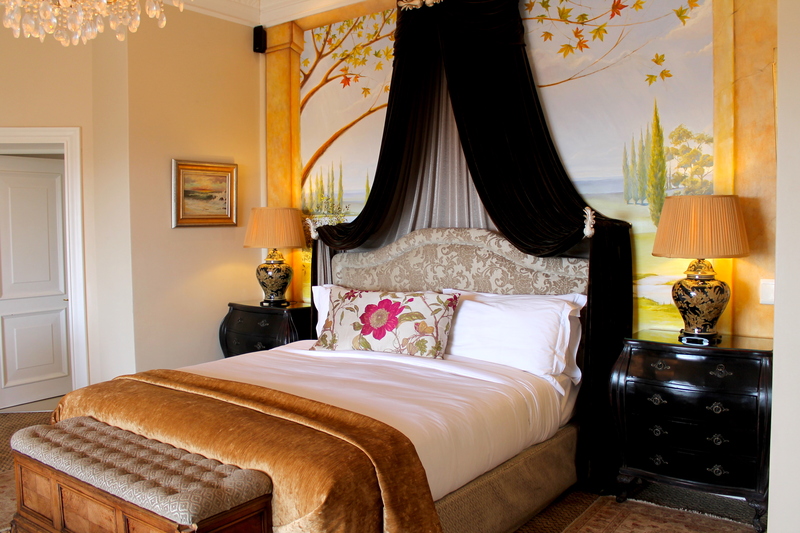 The Munro Hotel is ideal for a very exclusive and private stay and for special occasions to celebrate. 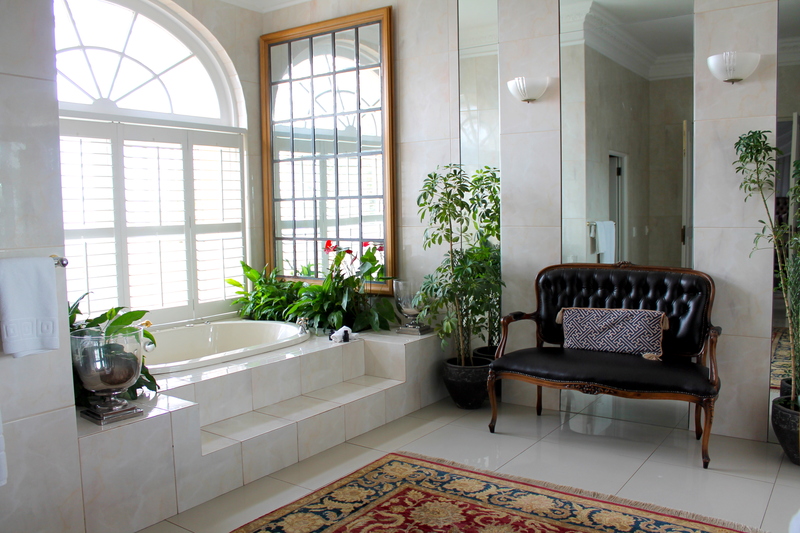 In fact, it offers 5 unique luxurious suites, in a outstanding palace surrounded by waterfalls, exotic plants and panoramic views of Johannesburg. 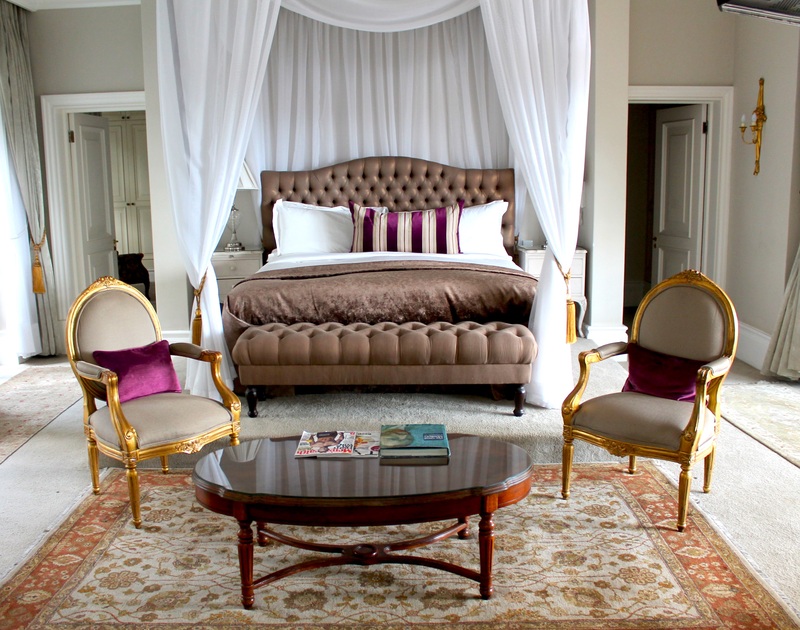 The Presidential Suite, which is the biggest and most luxurious in this property, offers a dreamy canopy bed, a huge fabulous bathroom and a spacious wardrobe area. Normally the bride and the groom spend there their first night after the wedding! 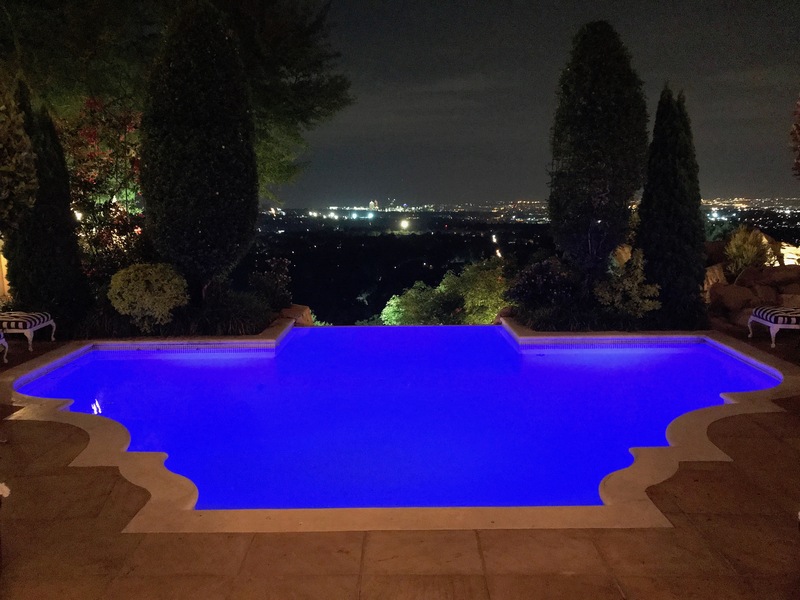 It is stunning, with a wonderful view of Johannesburg! I am so glad I had the chance to spend my nights at The Munro Hotel in the Baobab Suite! This is actually my favorite room! 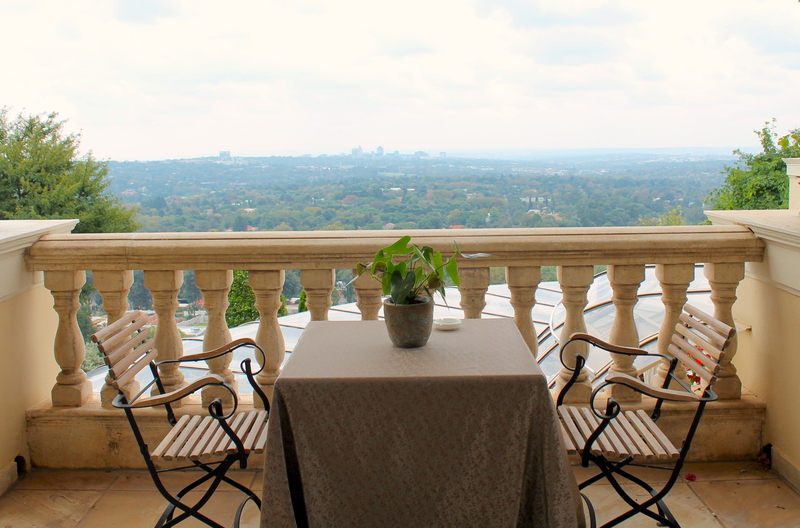 The colors, the lavish style and the stunning view of Johannesburg from the balcony made me dream the entire time! Before coming to Johannesburg I didn’t know I could get such a great view of the city from the balcony of my room! Smaller but equally elegant, the other 3 suites face the back of the palace. 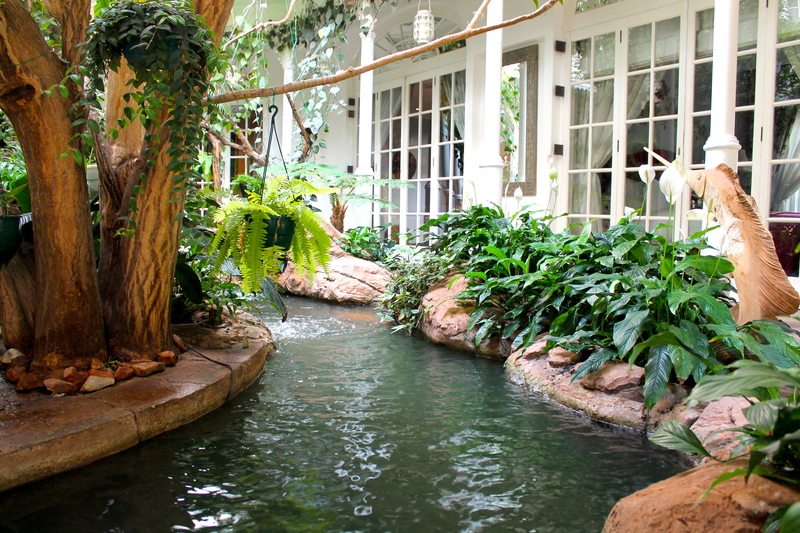 They maintain the extra-luxurious style of the Munro hotel as much as the two bigger ones. Those room might be perfect for the closest friends of the groom and the bride during a wedding weekend! Inside The Munro Palace everything looks like a fairy-tale, especially the indoor garden on the ground floor near the reception area. When I walked in I immediately felt the magic! 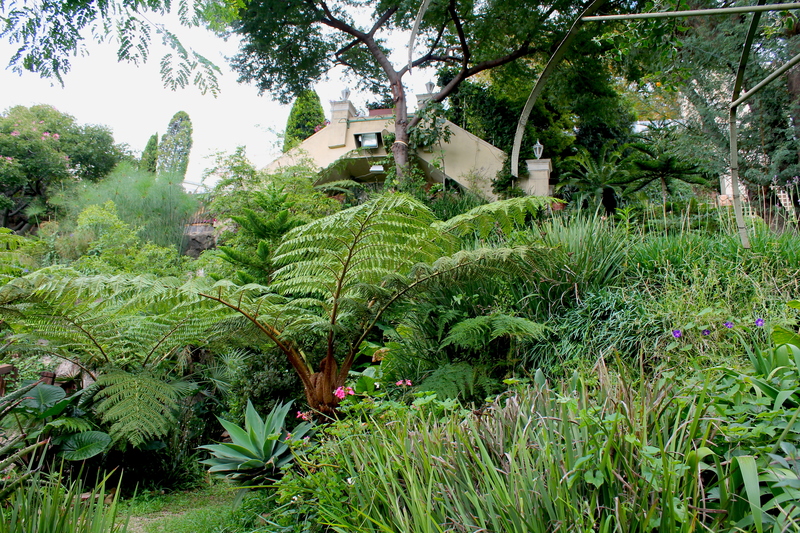 The beautiful plants and trees create a spectacular atmosphere, during the day as well as at night. There is also a small lake with carp koi fishes! 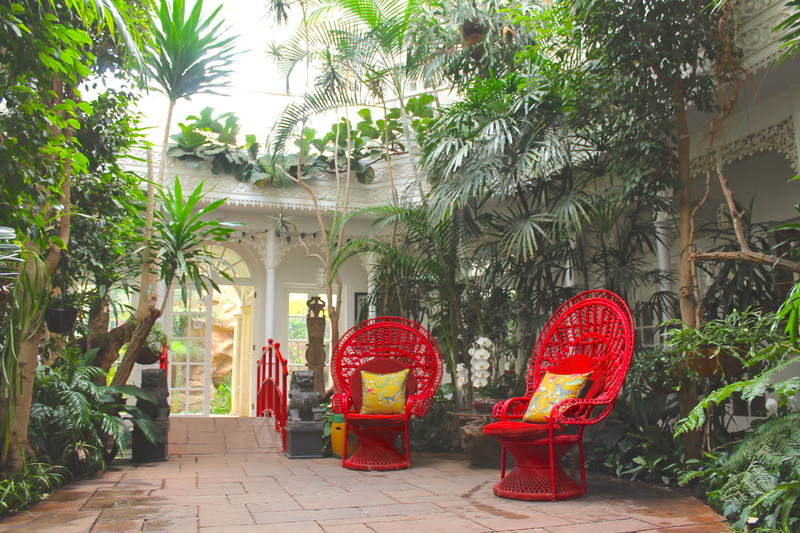 A very unexpected-exotic corner in such a stunning hotel! Moreover, on the ground floor you can relax in the stunning living room. 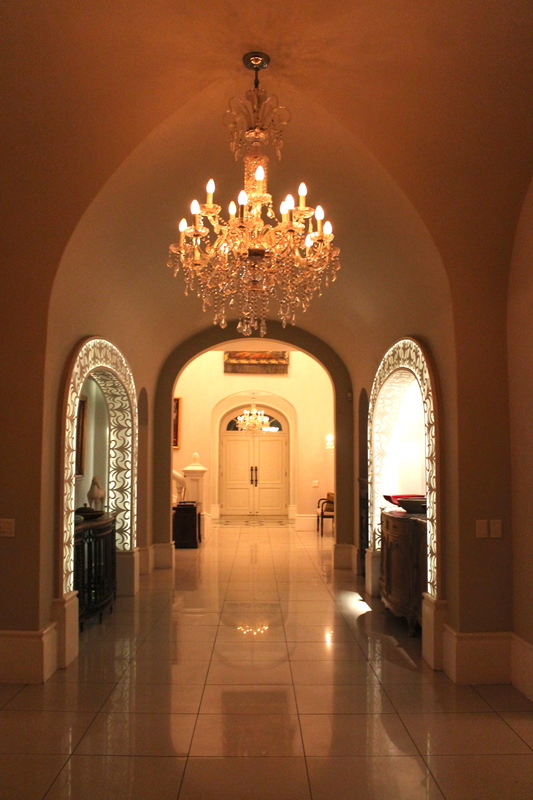 It really felt like staying at my own palace! Seriously unique! 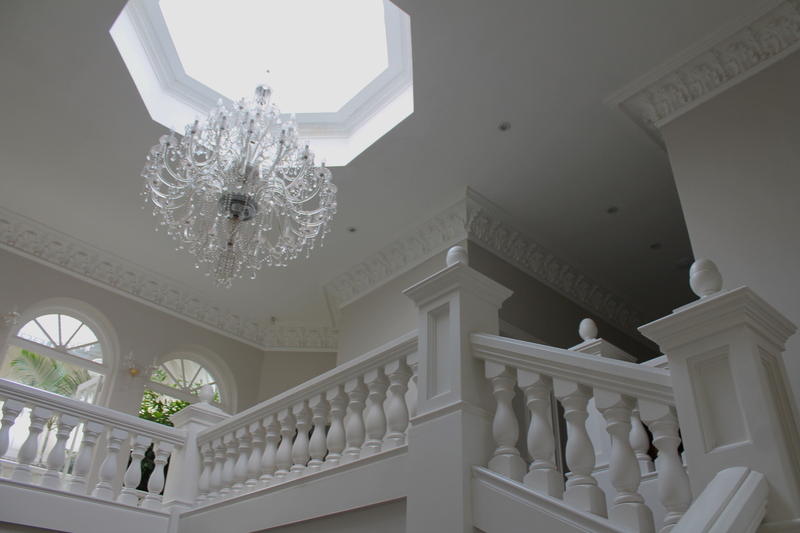 The stairs and the chandelier make everything looks even more magical: every detail of the interiors has been thought perfectly here! Furthermore, the swimming-pool at night is extremely beautiful as well! The swimming pool at night! 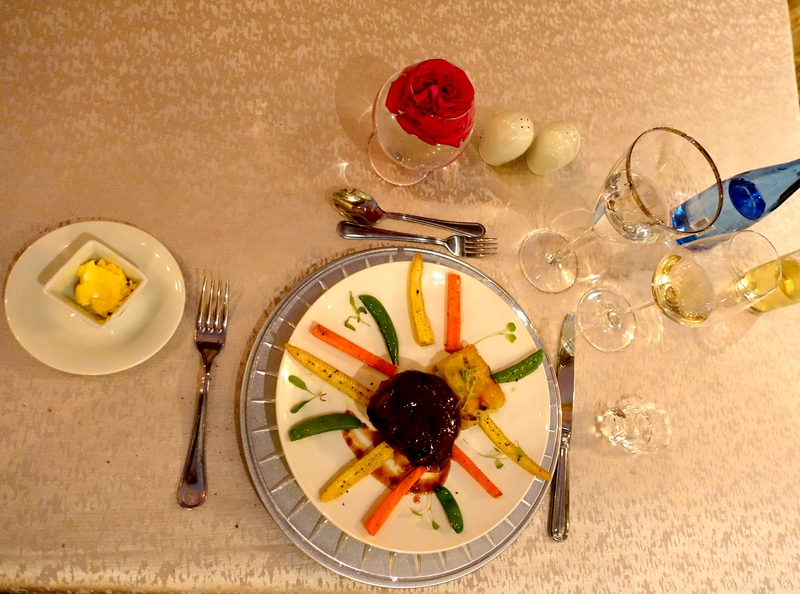 During my dreamy stay at The Munro Hotel I had the possibility of dining in-house, as the hotel has a private chef. Everything I tried was exquisite! 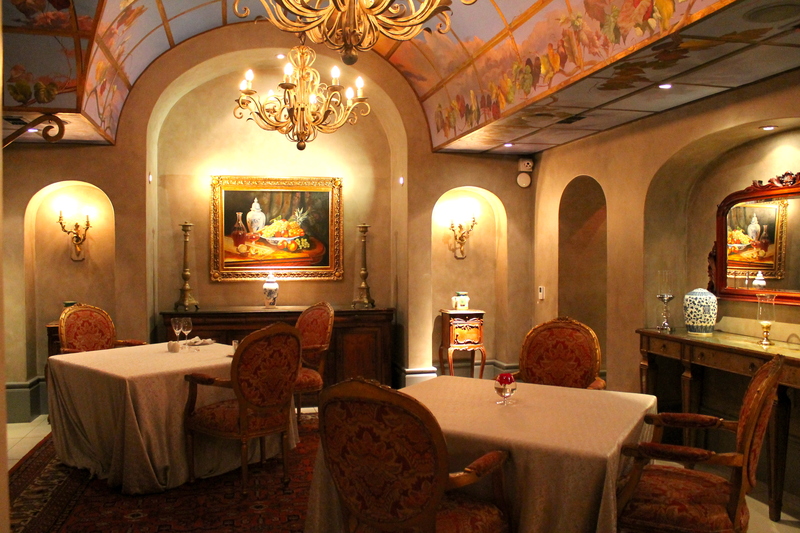 The dining room is very elegant and private, perfect for a date night or even to enjoy it on your own! The hotel offers also special caterings upon request for tailored events and of course wedding ceremonies. Click here for more details! And the dinner was served at The Munro! How delicious that meat was! 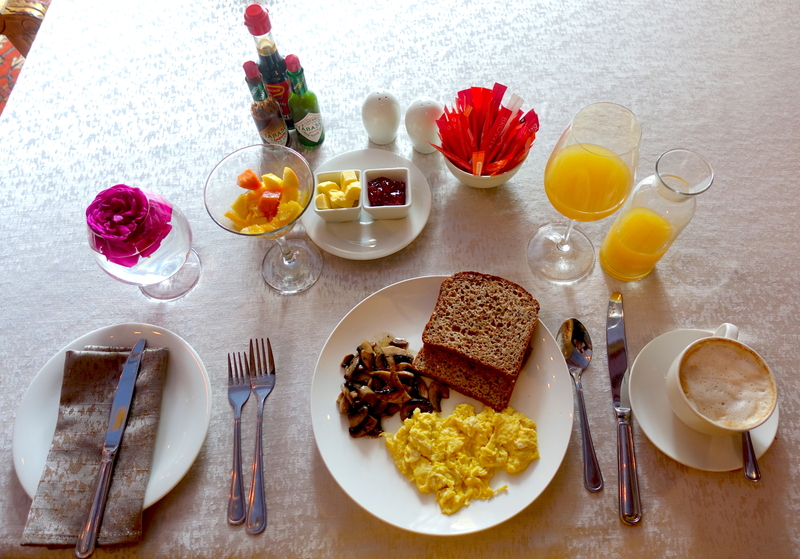 The following day for my breakfast I got my favorites: scrambled eggs with mushrooms, toast, cappuccino and orange juice! 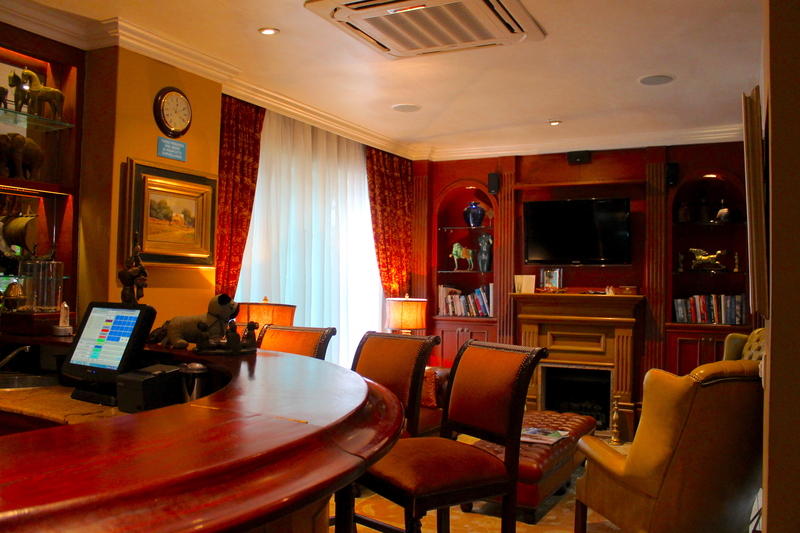 At night, after dinner, I had also the chance to have a drink at the bar corner, in a separate room! I was walking around the swimming pool when I accidentally discovered the existence of a park around the property. I walked down the hill and I felt like being in a movie! I did it both during the day as well as at night and it was unreal, as it seemed like a jungle full of exotic trees and flowers! Worth a walk around when you are there! 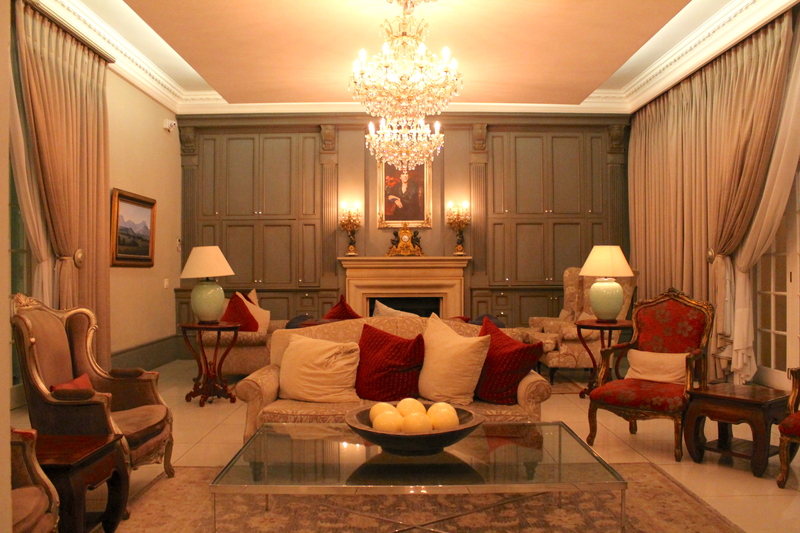 I hugely recommend this spectacular hotel if you want to have an unforgettable and remarkable stay in Johannesburg!